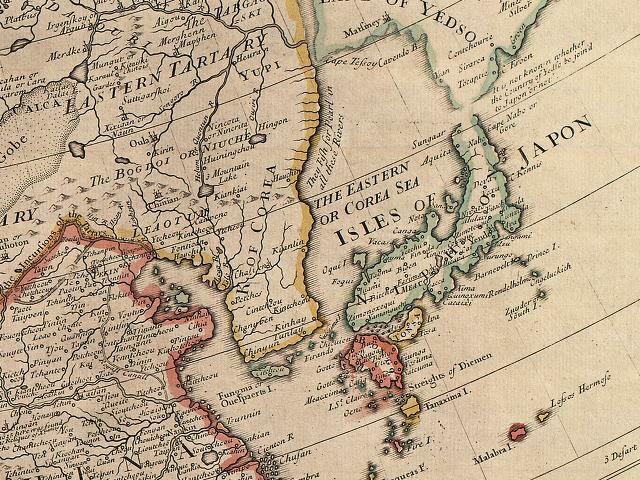 Japan’s claim of East Sea being Sea of Japan is unjustified because to do so would mean contradiction and for the large part lack justification. 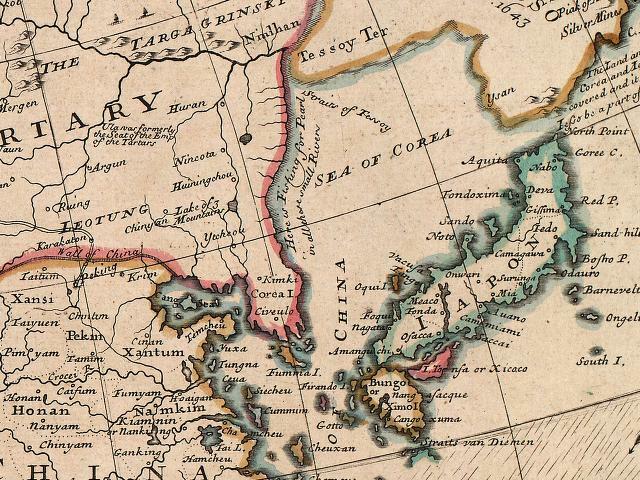 Early Western explorers of 18th and 19th century clearly favor calling the East Sea, the Sea of Corea or Chosun Sea rather than Sea of Japan. Both historical documents and Japanese acknowledgement, agree on one thing: sovereignty of Korea and territorial right to maritime region of East Sea or Sea of Korea belonging to Korean people. Please refer to the links below for more reference. A new map of Asia, from the latest observations most humbly inscribed to the Right Honorable George Earl of Warrington, etc.